Published September 28, 2012 at 1144 × 1600 in CGOA Reno: I’m at WHAT convention? 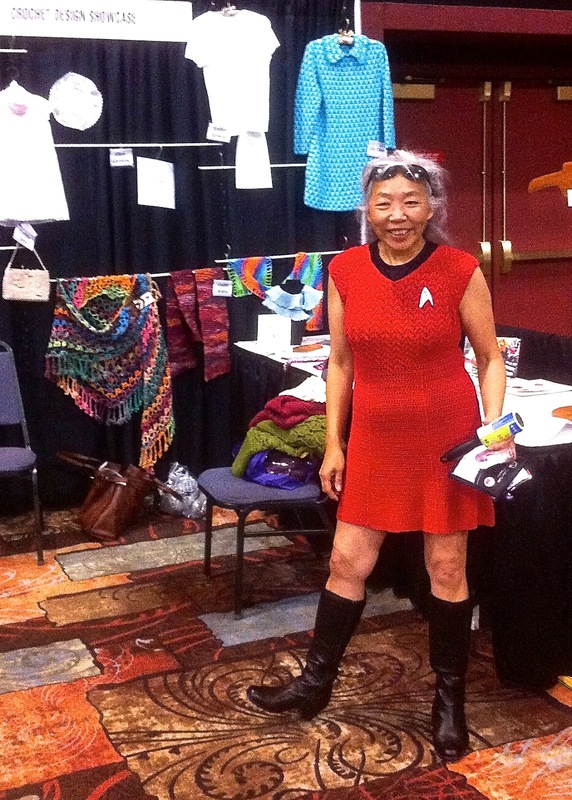 CGOA Reno September 2012, at my experimental design booth, here’s the Star Trek uniform styling for the Rockin Red Dress, Interweave Crochet, Fall 2012. Oh Man!!! I love it!